Before serving as America’s 31st President from 1929 to 1933, Herbert Hoover had achieved international success as a mining engineer and worldwide gratitude as “The Great Humanitarian” who fed war-torn Europe during and after World War I. The son of a Quaker blacksmith, Herbert Clark Hoover brought to the Presidency an unparalleled reputation for public service as an engineer, administrator, and humanitarian. Early Years: Born in an Iowa village in 1874, he grew up in Oregon. He enrolled at Stanford University when it opened in 1891, graduating as a mining engineer. 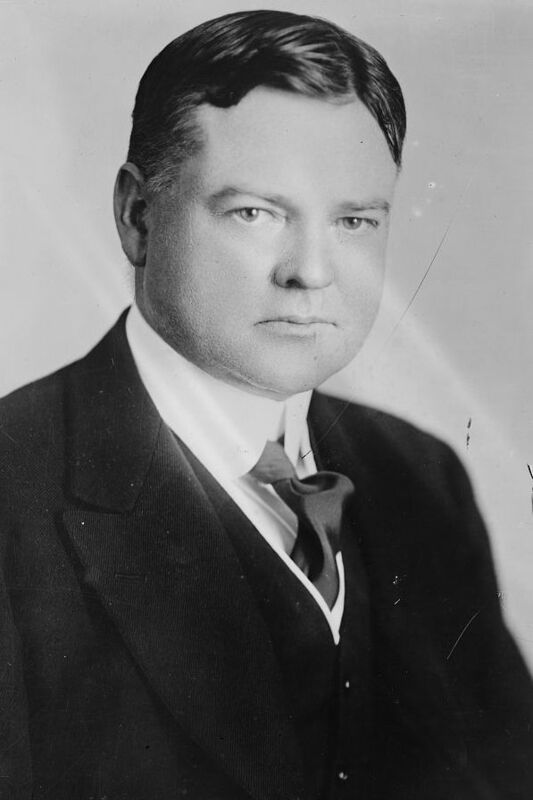 Presidential Years: After capably serving as Secretary of Commerce under Presidents Harding and Coolidge, Hoover became the Republican Presidential nominee in 1928. He said then: “We in America today are nearer to the final triumph over poverty than ever before in the history of any land.” His election seemed to ensure prosperity. Yet within months the stock market crashed, and the Nation spiraled downward into depression. Source: The Presidential biographies on WhiteHouse.gov are from “The Presidents of the United States of America,” by Frank Freidel and Hugh Sidey. Copyright 2006 by the White House Historical Association. Except where otherwise noted, third-party content on this site is licensed under a Creative Commons Attribution 3.0 License.